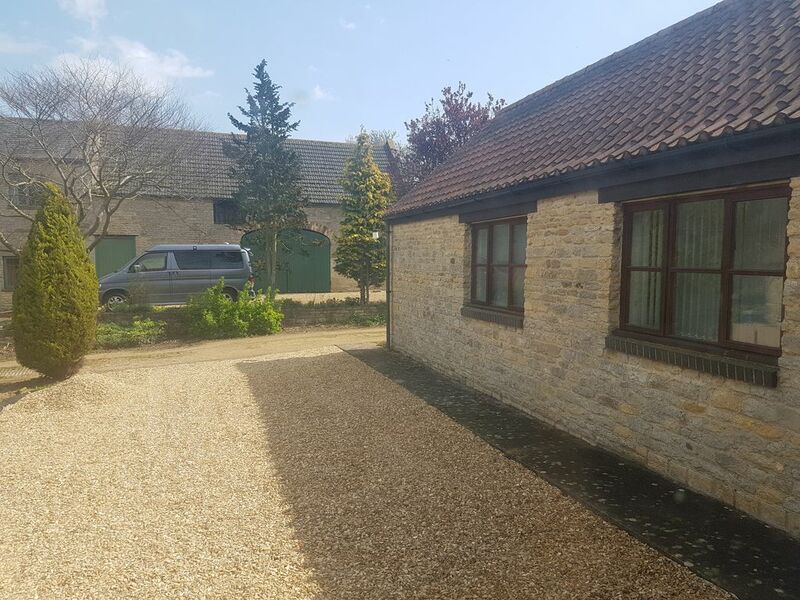 We are offering our annex in the stunning village of Bulwick. Whilst the annex is attached to our home it has its own entrance and parking to enable you to come and go as you please. The accommodation has a living room, bedroom with fixed king size bed, kitchen/dining room and a bathroom. There is a TV/ DVD in the lounge and a small TV in the bedroom. There is a selection of videos in the annex for you to use. The kingsize bed in the bedroom is fixed so does not split into 2 singles. We can supply a put-you-up bed in the living room suitable for one small child. Please just let us know and we can get this set up for you with the bedding. There is an additional charge for the child of £10 per night. In the kitchen we have a dining table, full electric cooker, Microwave, and fridge with a small freezer compartment. We also have a washing machine. All utensils are supplies and some cleaning products. We also will leave you some tea, coffee and sugar, cooking oil etc. In the bathroom there is a bath with shower over, bidet, sink and toilet. We are very happy to take delivery of your on-line grocery shopping if you want to have this delivered before your stay, we can put this in the annex ready for your arrival. Many large stores have the facility to have shopping delivered to another address. We have to be strict on our crossover times due to preparing the annex for the next guests.